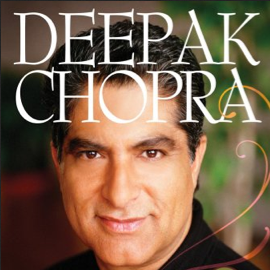 According to Deepak Chopra, when you really get down to it, people say they want peace, harmony, laughter and love. He defines happiness as a subjective state of well-being, joy, and ease when you seem to be in the flow and things just happen as they are supposed to. If you’re happy, he said, you’re going to be healthier, have better relationships, do good/meaningful work and be successful and abundant — not the other way around. Our brain’s set point for happiness. One person sees a problem where another sees an opportunity — some scientists say this is genetically determined. Researchers have shown that practicing meditation can change this biological set-point, along with cognitive therapy (changing your false beliefs that are making you depressed). Our life situation. Are you healthy, do you have a nice house, did you win the lottery? This has actually found to be a very minor determinant of our happiness. These things can make us happy in the short-term, but down the road we will go back to the happiness set point. 15% of our happiness quotient, Deepak says, is actually based on our life situation. Our voluntary actions – the choices we make. Making choices that lead to fulfillment, a deeper gratification, really makes us happy. 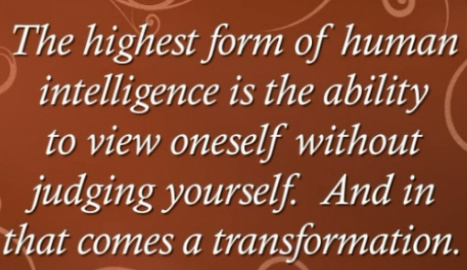 Having a sense of accomplishment, making a difference in the lives of others or in the world, feeling inspired, intuitive, conscious. This can bring great happiness, and research has shown that making other people happy is what makes us the most happy.